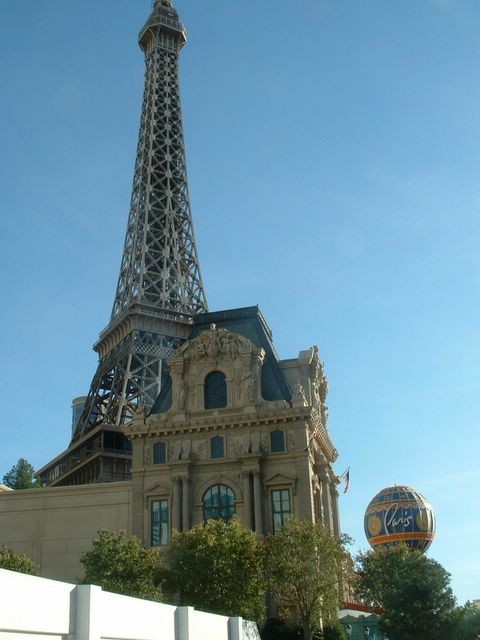 LasVegas2005plusafewHOME -- Paris Las Vegas. Very impressive, but if you “love paris” I have a feeling you'll find this amazing recreation something of a disappointment. It's so clean and stylish and unblemished that you loose the rich, complexity of a true Parisian streetscape. But I'm glad to see it. The new Las Vegas is a collection of such themes, disorienting in their huge size and spectacular vistas.